I love it when we English speakers get to toss around a German-rooted word such as “bildungsroman.” So obviously two words linked together, as German words are apt to do! Yet this distinctive literary term isn’t important just for its fancy European roots. Rather because it’s the perfect term to describe a specific type of novel, the novel of growth or education — perhaps the most important and most deeply rooted type since the creation of the novel back in the early 1700s. 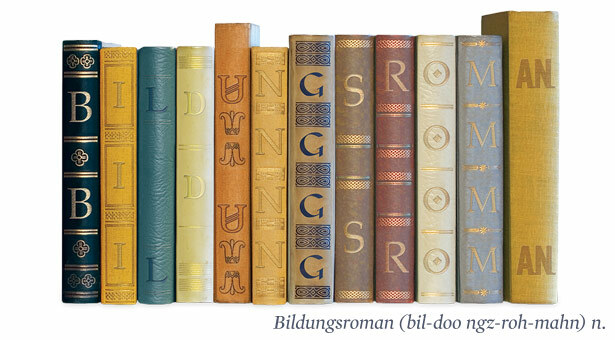 “Bildungsroman,” naturally enough, comes from combining the German words Bildung, which means “building” or “growth,” with the word Roman, which is the German (and French and Spanish) word for “novel.” But why was such a term coined in the first place? Mostly because a few early 20th-century literature professors noted the sheer number and popularity of these “single life” stories. They were everywhere — whether we are talking about Defoe’s Robinson Crusoe in 1719 or Joyce’s A Portrait of the Artist as a Young Man in 1916. Specifically, bildungsroman are defined as any lengthy, engrossing tale of a single character who often grows from childhood to adulthood, gaining wisdom through life experience — while often making mistakes and suffering loss along the way. Other well-loved examples range from Charlotte Bronte’s Jane Eyre in the Victorian peiod to The Catcher in the Rye in 1951 to the much more recent, multi-volume Harry Potter series. But no matter the century, bildungsroman novels have always been extremely popular — perhaps because we must all learn how to live in this world. As the 19th-century writer Elizabeth Barrett Browning once said, “we humans care for a story” — especially ones that give us friends and wise fellow companions on the road to growing up.